Things work better when everyone knows what’s going on. Working as a nurse, there’s nothing I encounter more often than seeing a worried family member pacing back and forth just wondering how their loved one is doing. They are waiting, praying, and hoping that everything is going smoothly in surgery. As a floor nurse, it’s so hard to reassure these family members because honestly, I don’t necessarily know how it’s going in the operating room either. MyCareText is extremely helpful because it shares with family members how their loved one is doing from pre-op, surgery, to post-op. Even family members who are stuck at work or living in another state can stay in the loop. And I, as the nurse, can confidently reassure family that everything is going well during the stressful waiting period. MyCareText also automatically sends out helpful appointment reminders and instructions without any extra work for staff. I don’t think there’s anything that impairs patient volumes and staff workflow more than when patients don’t show up for their appointments or they forget instructions like eating bacon for breakfast when they were suppose to be fasting for a procedure. When everyone is in direct communication, workflow is better and patients and employees are happier! Use technology to enhance patient care, not be a barrier to care. With advances in healthcare, processes are streamlined, which makes working more efficient, effective, and enjoyable for the healthcare worker. However, that sometimes comes at a price. We are looking at computer screens instead of looking at patients. 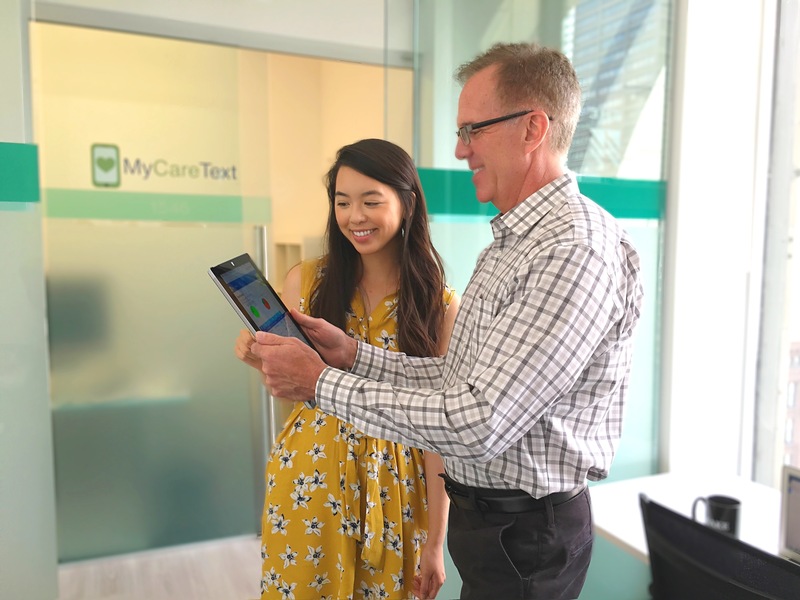 MyCareText breaks down those barriers in patient communication by updating family members and the patient throughout the entire care cycle. When patient communication is improved, so does patient care and patient outcomes. And as a nurse and healthcare provider, that’s the goal! That’s the whole reason why I choose this field. I want to make a difference, and I want to do it well. MyCareText allows hospitals and offices to keep the patient and family a part of the conversation. Due to an already busy work day, healthcare staff do not need to perform any additional steps. If there’s anything that was emphasized again and again in school and training, it was to document everything. And at times, double document things. Nurses and healthcare providers are pressured by insurance companies and reimbursement rules on what and where things need to be documented that often becomes so distracting that it compromises patient care. MyCareText’s focus was to increase patient communication without an unnecessary extra step. MyCareText sends out automatic reminders and instructions 2-4 days before appointments. The program sends automatic surgery updates that are integrated into the hospital’s EMR charting system. When a surgery nurse charts a certain critical moment in the operation, an automatic text message gets sent to the family conveying the update. Afterwards, MyCareText sends automatic post-op instructions and and follow up appointment reminders. The program allows hospitals and offices to enhance patient care and patient engagement without any additional work by staff! The best of both worlds! Just because everyone is doing it, it doesn’t mean it’s a good idea. This applied in high school, and it applies today! Many healthcare companies are utilizing apps to send appointment reminders, updates, and procedure instructions. However, if you’re like me, my phone always seems to be overwhelmed with apps and photos that I often turn the other way if you make me download an app. My mom is the opposite though! She barely has any apps on her phone because for her, it’s more confusing to download and even more complex to navigate through an app than it is for her to make a three-course meal, all while carrying a grandchild on her hip. I’ve noticed more and more healthcare settings feeling pressured to bring on the next technological innovation to appear cutting edge and ahead of the game. However, I don’t think it’s the answer in every aspect of healthcare, especially when it comes to patient communication. There’s a lot going on with their loved ones, and the last thing families or patients need is one more task to do just to know what is happening. I think that’s where MyCareText stands out. It’s messaging platform allows providers to send appointment reminders, surgery updates, and post-op instructions as simple text messages. The messages are automatically sent out and do not include any specific details that places patient health information at risk. I feel that this experience at MyCareText will enhance my role as a family nurse practitioner. I’ve learned the difference technology can make to the patient, nurse, and provider when everyone is informed. People want to know what’s going on, and it’s my job to help people achieve that. I want to create a working environment where technology advances patient care and doesn’t hinder the staff from doing their job. Lastly, just because everyone around you is doing it, don’t be pressured to follow the crowd. Look at the facts and statistics and figure out what works. 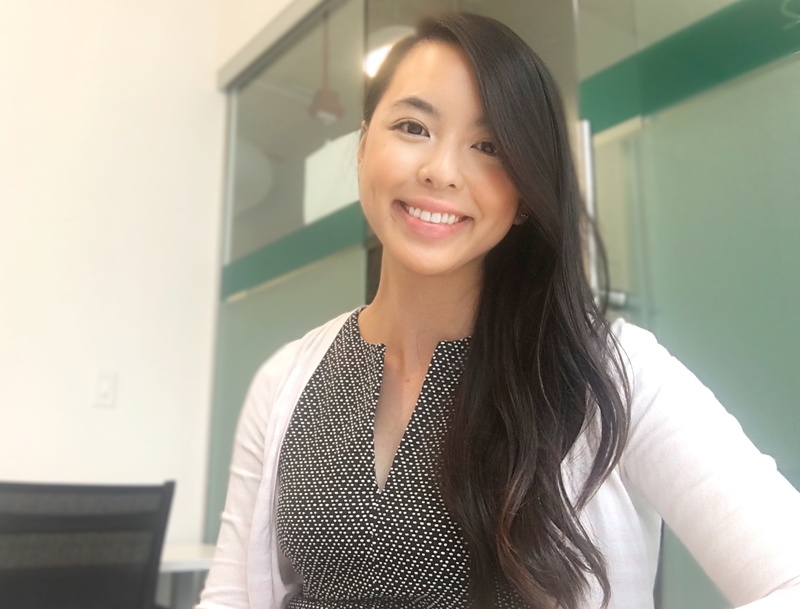 These lessons I learned at MyCareText are important to take with me as I move into different healthcare settings and as technology in medicine continues to improve the patient, nurse, and provider experience.